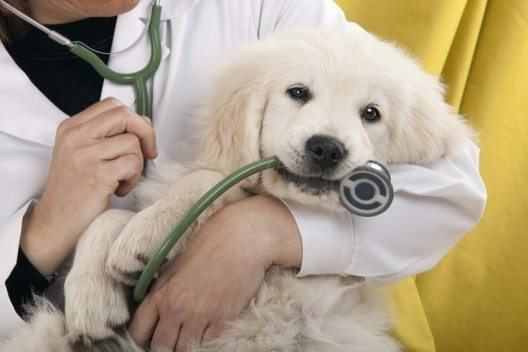 Just like babies, puppies too need to meet their regular vaccination course to protect them from a host of diseases. It is important to schedule regular appointments especially in the first year and then follow up with the routine given by the doctor in the coming years to avoid your pet from suffering from any health complications. Being a pet parent in not easy. It is important for you to realise that this little one you bring home is like your baby and is dependent on you for just about everything. This includes nutritious food, play time, constant care and attention and of course vaccinations. These shots help protect your pet from potentially harmful and deadly diseases. This will be explained to you by your vet on your first visit and they will set up a schedule for you for the following months as well. This one is important to ensure you eliminate all parasites inside the system to ensure they cause no harm to your pet. Eradicating these worms ensures that potentially harmful pests are not allowed to grow in the body. After this time frame, your vet might suggest de-worming once in 3 months or maybe once a year based on his discretion. This is the first round of vaccination that protects your puppy from 7 diseases- Distemper, Hepatitis, Corona Viral Enteritis, Parainfluenza, Parvovirus and Leptospirosis. This is another important shot to protect your pup from the rabies virus. Your Vet will give you a vaccination card with the shots given and when the next set are scheduled. Keep this card safe and some place where you look often so that you don’t miss a shot. Sign up from free text/e-mail reminders if available to keep the process running smoothly.